Norway has proposed two well-considered and timely amendments to the Basel Convention annexes that will effectively begin to address the frightening global prospect of an impending plastic waste crisis. The Norwegian proposal is simple and elegant: First, they propose to remove "B3010: solid plastic wastes" from Annex IX. Annex IX is the annex of waste streams presumed to be non-hazardous and therefore presumed to not be subject to controls procedures under the Convention. An application for this action is on the agenda of the OEWG11 and described in working paper UNEP/CHW/OEWG.11/14. Second, Norway has stated in a communication to the Secretariat that they next intend to add this listing of "solid plastic waste" to Annex II (wastes requiring special consideration). This second listing amendment has as yet not been formally proposed by Norway or any other Party but is expected to be proffered for action in time for a decision at COP14 next year. The net effect of these two annex amendments will be to avoid the contentious question of whether and when plastics might be hazardous waste and yet will recognize that they are wastes of such a concern that it is vital to control them and do so on a multilateral basis. Most significantly, Annex II is subject to prior informed consent controls and is likewise subject to other powerful controls under the Convention including the Party to non-Party trade ban. The dangers that plastic pose to the environment and human health are well established. Plastic is now found in all major water systems-- in its visible form it poses a huge threat to marine life and in its broken down form (ie. microplastic and nano plastics) it enters the food chain and eventually accumulates in human bodies. When burned in an incinerator, plastic releases persistent organic pollutants, a multitude of toxic emissions, and greenhouse gases. When proper protections are not in place, recycling workers and informal waste pickers are exposed to dangerous and unjust working conditions, and must risk their lives and health to earn a livelihood. The global production and trade of waste plastic has grown tremendously over recent decades. This fact has been accelerated recently by the historically low price of oil. The price of oil is currently so low that post-consumer plastic has lost its value compared to virgin resins. This only increases the likelihood that plastic waste will lack legitimate recycling destinations and will move rather to unsustainable low-cost dirty, polluting operations or disposal sites in developing countries. Until January this year, China was the primary recipient of the world's plastic waste, which was often processed in crude factories with the unrecyclable residual material burned or buried, leading to massive environmental pollution and public health impacts. China has appropriately responded to this problem of a lack of sufficient environmentally sound management capacity in their own country, and a glut of low-value plastic arriving at their shores by imposing a ban on the import of waste plastic. They have chosen to focus on the collection and proper recycling of their own domestically generated plastic waste. But China's sudden refusal to be the world's plastics dumping ground has had a dramatic and potentially devastating effect on the rest of the developing world. Now that China has closed its borders to foreign waste, we are discovering that the massive volumes of the same waste materials have been deflected from China ports and are already arriving in the ports of Southeast Asian countries, where even less capacity to manage the waste in an environmentally sound manner exists. While this problem has been signalled anecdotally, we currently lack sufficient means to properly quantify and track this potentially damaging trade -- and far worse, no means at all to control it should there be concerns. Right now, the transboundary flows of plastic are hidden and countries are faced with finding out about imports only after it is too late to take preventative action. Without plastics being listed as a controlled waste, nations targeted by traders are unable to anticipate the damaging shipments and moreover are unable to refuse the importation on a multilateral basis and with the multilateral cooperation of the Basel Convention should they wish to do so. 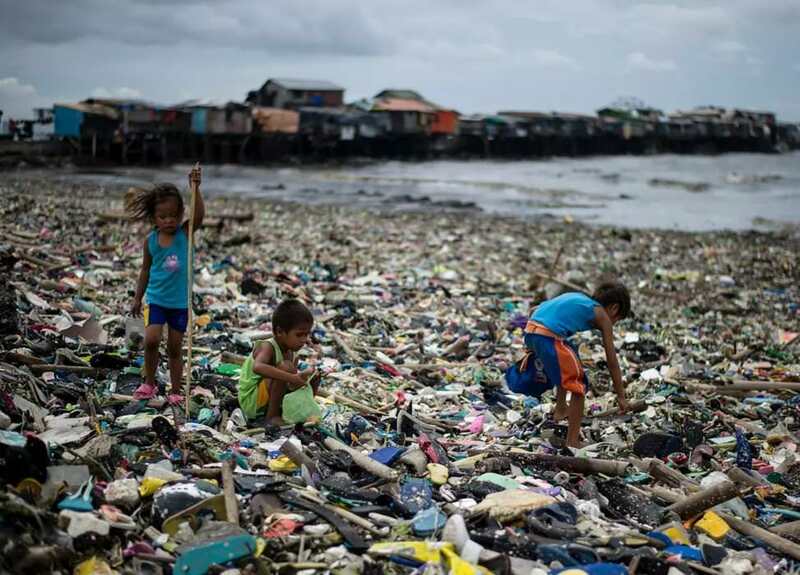 Without such controls, the new flows of global plastic waste, may, under the name of recycling become epidemic with severe global consequences, including a further exacerbation of the marine debris crisis. We can no longer allow such a dangerous material -- found already to be implicated in destroying the marine environment, to be shipped across the world without proper transparency, monitoring and the potential for control. Fortunately, the Basel Convention framework is in place to provide a timely first solution to the plastic waste crisis. It was precisely for this reason -- controlling a dangerous, out-of control waste market, that the Basel Convention and the Prior Informed Consent (PIC) procedure was created. With but a slight adjustment of the annexes of the Basel instrument, as proposed by Norway, we can respond effectively and expeditiously to the current dangerous plastic waste trade and provide early warning and protection to vulnerable countries around the world. b. The subsequent placement of "solid plastic waste" on Annex II. With these easy steps, we can take the first powerful steps to address the global plastic waste crisis.